Mindscape has announced five new game titles for the Atari ST. First on the list is the long-awaited Gauntlet II, which the company claims is an accurate rendition of the popular coin-op machine. 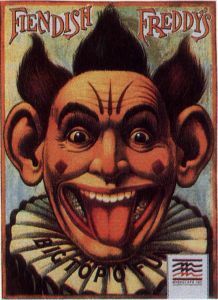 Also coming up are Fiendish Freddy's Big Top O' Fun, a slapstick circus game that allows the player to perform six dangerous center-ring stunts; Harley-Davidson: The Road to Sturgis (no price available), in which you drive you 1340cc Hog on the road to Sturgis, South Dakota, to perform in a series of contests and events; After Burner, Sega's arcade flight simulator; and Shinobi, yet another popular Sega arcade title in which you get to try your hand at being a Master Ninja. Gauntlet II, Fiendish Freddy's Big Top O' Fun and Shinobi should be available by the time you read this, with the other titles being shipped between the end of 1989 and early 1990. The games are priced at $49.95 each. 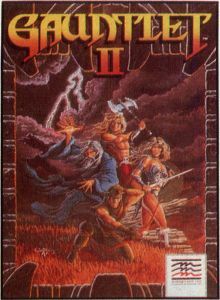 Cutting-edge programming makes Gauntlet II the best home-computer adaptation yet of an arcade game. Technical wizardry captures the superlative graphics, sound and excitement of the arcade megahit. Step right up to the greatest show on disk, but watch where you step! Fiendish Freddy's Big Top O' Fun offers a satiric, twisted look at six circus events, rendered in slapstick style and brought to life by breakthrough, movie-quality animation and art. CIRCLE #123 ON READER SERVICE CARD.